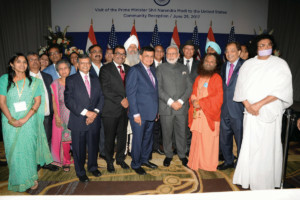 India’s Prime Minister Narendra Modi with some members of the Indian diaspora in Virgina on Sunday, June 25. On Modi’s right is Padma Shri Dr. Sudhir Parikh, founder and chairman, Parikh Worldwide Media. From Lisbon, where he launched a joint international startup hub with his Portuguese counterpart Antonio Costa – who is of Indian-origin himself, India’s Prime Minister Narendra Modi came over to Virginia, on Sunday, to address some 600 members of the Indian Diaspora, where he exulted in India’s fight against corruption and terrorism, and lauded Indo-US ties, a day before he met President Donald Trump in the White House. 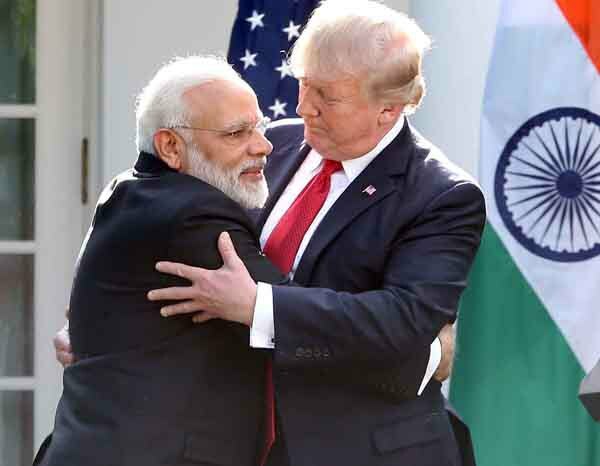 The United States is familiar territory for Modi, starting from his memorable speech at the Madison Square Garden in New York, in 2014, the year Bharatiya Janata Party swept to power and catapulted Modi to head the nation. Addressing the Indian diaspora here as the “members of family”, Modi promised of a developed India in their lifetime. He reminded the audience that their success is due to the supportive environment in the US, and his government is working to provide the same environment back home. “Your heart always asks when would our country become like this (the US)… I assure you that this will happen in your lifetime,” Modi said, his speech punctuated by applause and cheers by the appreciative audience. Modi added that “1.25 crore equally talented Indians are there back in India, they are now getting supportive environment and soon we will develop India soon”. “Governments were changed because of corruption. The common people hated this… There has been not a single blot on our government for the past three years. And governance is being modified so that honesty becomes an in-build process. Technology is helping with that,” Modi said. The Prime Minister also said the warmth the Indian community gave is memorable. “All my family members are settled in America… The happiness we get after meeting the family is what I am feeling right now,” Modi said. Speaking of change in the functioning of the Indian embassy everywhere, Modi lauded External Affairs Minister Sushma Swaraj for her pro-active actions to help “Indians anywhere”. Urging the Indian diaspora to “keep the bridge with India”, Modi said that the younger generations of Indians must be kept aware. “Keep the bridge with India. Your younger generations must continue your strong bond with India,” Modi said. Modi also spoke about cross-border terrorism, without referring to Pakistan. “Terrorists have themselves explained to the world the meaning of terrorism,” he said. “The entire world could have raised many questions and pointed fingers at us for the surgical strike. But, not a single country questioned India’s surgical strike against the terrorist launchpads in Pakistan (last year). Those who suffered (Pakistan) because of this, is a different thing,” Modi said while addressing the members of Indian diaspora here on Sunday. “The entire world is suffering because of the menace of terrorism, which is against mankind,” the Prime Minister said. “When India spoke about terrorism about 20-25 years back, for many countries, it was beyond their understanding. For them it was a law and order problem, because they were not the sufferers. Today, it is not required to explain what’s terrorism. Terrorists have themselves explained it to them,” said Modi. “But when India conducts surgical strike, the world understands India is a patient country but if required, it knows how to demonstrate its ability,” said Modi. “We are bound by international laws. We believe in the idea of Vasudhaiva Kutumbakam (the world is one family). This is our character,” he added. 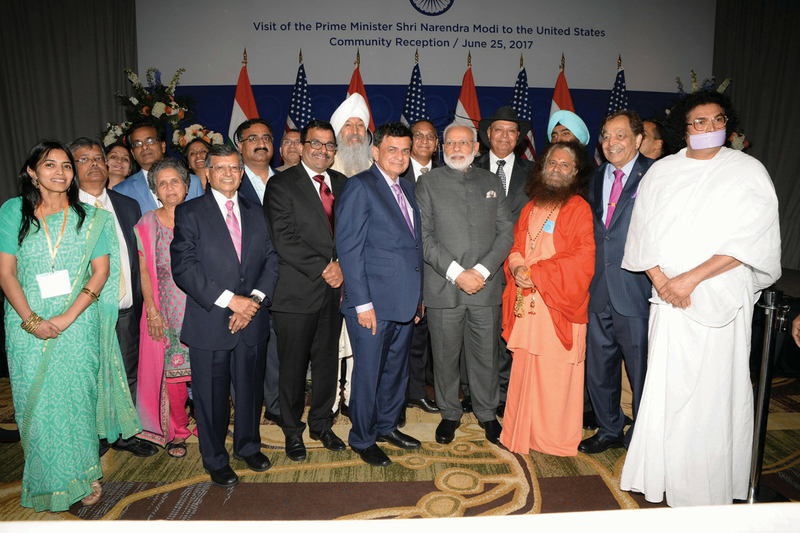 Modi also had a meeting with CEOs of the top 20 American firms and encouraged them to invest in India. The CEOs included, Tim Cook of Apple, Satya Nadella of Microsoft, Sunder Pichai of Google, John Chambers of Cisco, Jeff Bezos of Amazon, Shantanu Narayen of Adobe, Ajay Banga of Mastercard, Emerson’s David Farr along with Doug McMillon and Punit Renjen from Deloitte Global and Mukesh Aghi, the president of the U.S. India Business Council. According to Gopal Baglay, a spokesman of the Ministry of External Affairs, Modi said “the whole world is looking at India. 7000 reforms alone by GOI for ease of business and minimum government, maximum governance,” and that India’s growth is allowing a successful partnership to occur between both India and the U.S., suggesting American companies to contribute to this growth which will become a great opportunity for their company. After his meetings with Trump, Modi headed to the Netherlands, on Tuesday, where he made a strong pitch for women’s empowerment, saying he is working for a women-led development of India. “There is a government sitting in the Centre that is thinking about women-led development,” Modi said while addressing a gathering of 3,000-strong Indian diaspora at The Hague. Implying that it was paying dividends, he said that when the Pradhan Mantri Jan-Dhan Yojana was launched aiming at people who did not have bank accounts, most of those who availed of it were women. He said that when then US President Barack Obama came to attend the 2015 Republic Day parade in New Delhi as the chief guest, each of the three services giving the guard of honor was commanded by a woman. He said that women were starting to play a major role in India’s security and mentioned that Indian women were now flying fighter aircraft. Referring to the launch of 104 satellites in one go, firing of the world’s heaviest launch vehicle and GSLV MkIII-D1 earlier this month and the simultaneous launch of 30 nano-satellites last week, the Prime Minister said that three of the most prominent scientists working behind these projects were women. He said that more and more women were handling the education and health sectors in India and added that Olympic medals were being won by the country’s daughters. “It is not just working for the development of India but working for a modern India,” Modi underlined. In this regard, he said that India was targeting 175 GW of renewable energy to meet its energy needs. “Solar energy, wind energy, biomass energy — it is these that will meet our energy needs,” he stated. Modi also said that the target of providing electricity to 18,000 villages within 1,000 days was set to be met soon. 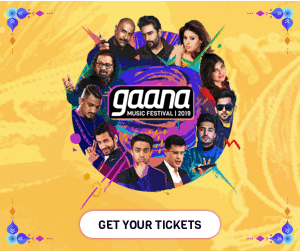 The Netherlands is home to around 220,000 people of Indian origin, many of whom are Surinami Hindustanis, descendants of Indians taken there in the 18th century to work as indentured laborers in sugarcane plantations in Suriname. He appreciated the Surinami Hindustanis for maintaining their Indian culture and traditions even after 150 years of their ancestors leaving the shores of India. “However heavy or big an iron ball is, it will roll away if one or two people will give it a strong push. But a tree with strong roots cannot be moved,” said Modi.